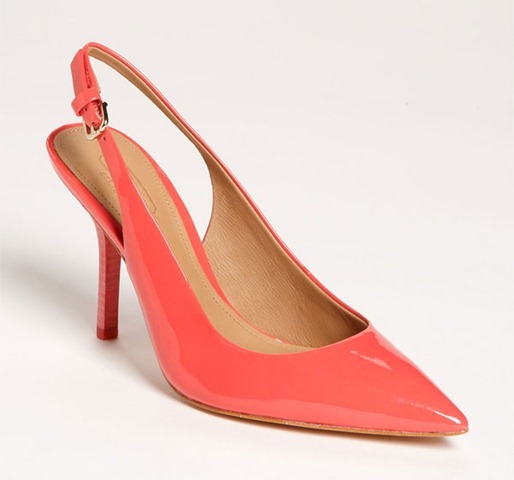 The Coach Lily Patent Pump in Bright Coral wins my award for prettiest pump for spring. 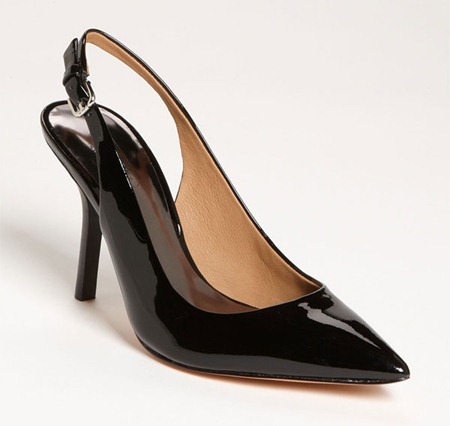 This sling back pump in patent leather with a delicate 3 inch heel is simply beautiful. Perfect for spring parties, get it while it lasts. Also available in black patent leather. Emerald is the Pantone color of the year for 2103 and what a better way to wear it than with these Sole Society Emerald Casey Pumps for only $59! 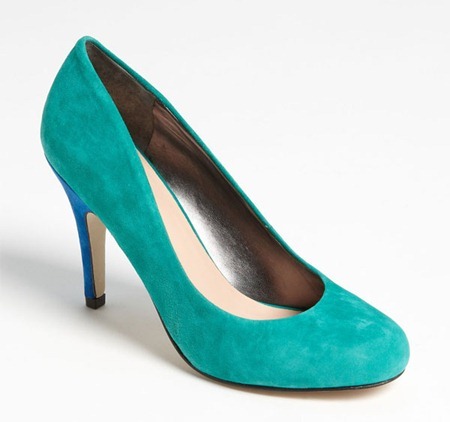 The suede emerald shoe features a blue heel for added interest. Get your color trend of the year on with the Casey pump in emerald.